ComboLab allows you to choose to use either the CardioLab* Electrophysiology Recording System or the Mac-Lab* Hemodynamic Recording System depending on your caseload. Multispace: Provides the clinician interoperability through workspace integration, allowing multiple systems and solutions to integrate with the CardioLab system. Excellent signal quality with advanced EP applications is designed to enhance EP procedures. CardioLab is configurable to help streamline workflow, with signal data analysis tools to help you evaluate administrative and clinical operations. Obtain exceptional signal quality. High-performance CLab II PlusTM amplifier delivers the quality signals needed for exceptional intracardiac and ECG recordings. Integrate and interface with GE and third-party systems. 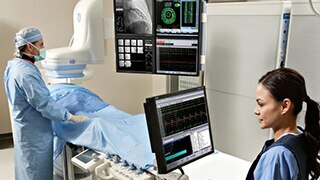 Operate critical CardioLab functions in the procedure room via the GE IGS X-ray system tableside control unit. ADT data received from CCW or third party brokers becomes part of the case. CardioLab sends demographic data to and receives procedure information from GE’s IGS X-ray system. Optionally, CardioLab can also interface with third party X-ray systems. 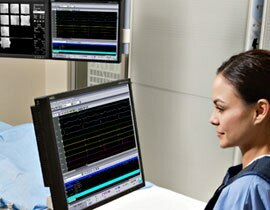 Interfaces are available for most ablation generators logging energy, impedance, time and temperature. Collect registry-specific data elements at the point of care. Registry form sets to support the ACC-NCDR registry data. Collect data the way you want with custom forms data allows up to 5,000 user-defined fields to be configured for data entry. 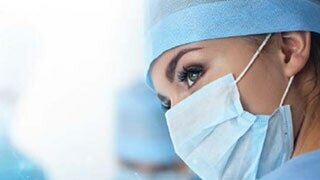 Provides intuitive design and leading edge functions required for the latest in clinical and research applications.